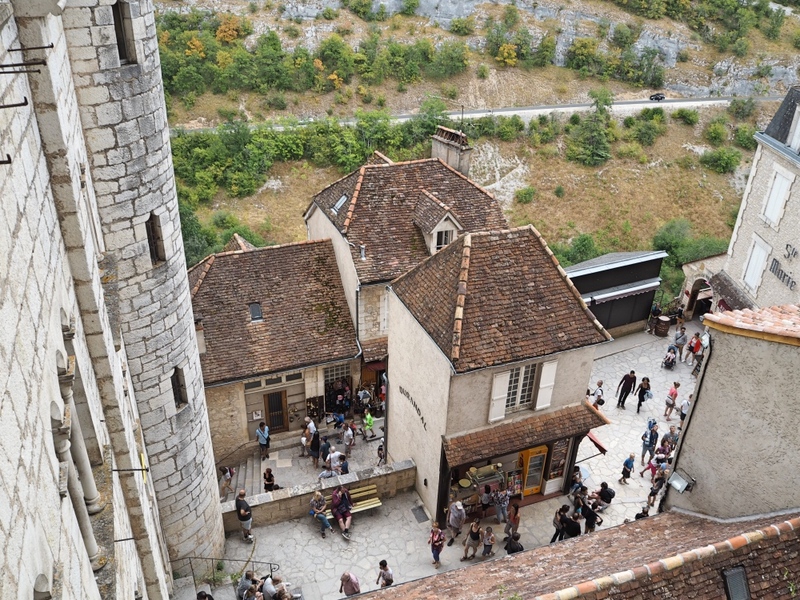 During our recent trip back to France, we took a day-trip to the medieval hill-top village of Rocamadour. 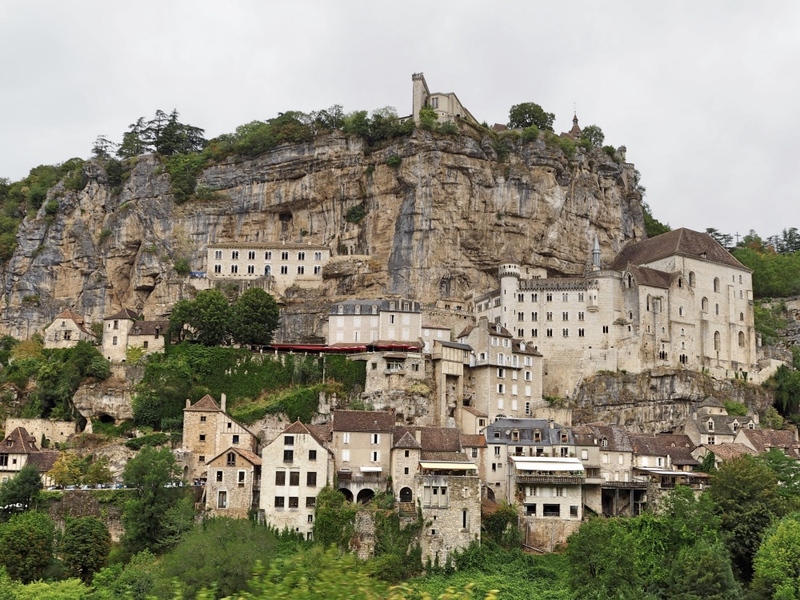 Strangely we had never heard of Rocamadour before, even though it is a UNESCO listed site and one of the most popular tourist attractions in France. Arriving there in August, it certainly felt that way! 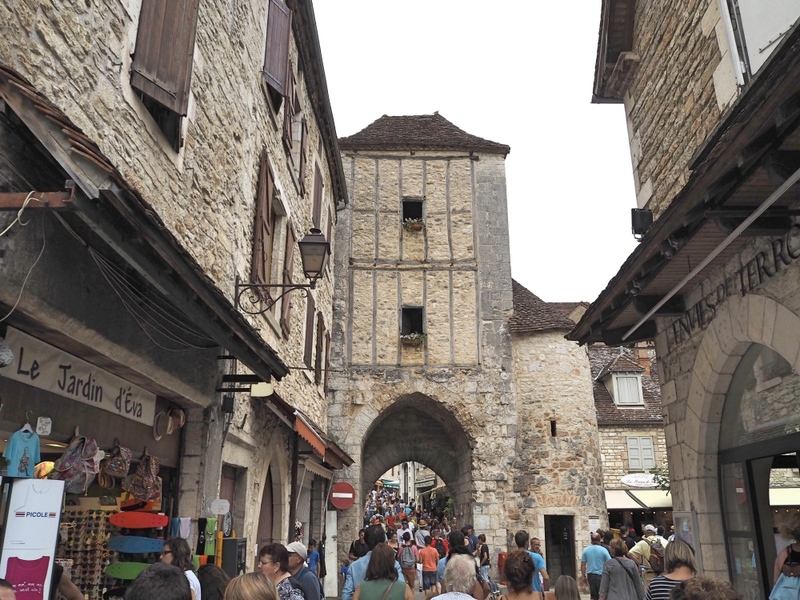 Even though the day was cloudy and rainy, the village was crawling with tourists of all ages and nationalities. Despite the hordes of visitors, however, we still managed to marvel at this picturesque medieval village built into the side of the mountain. The view as we arrived at the base of the village. 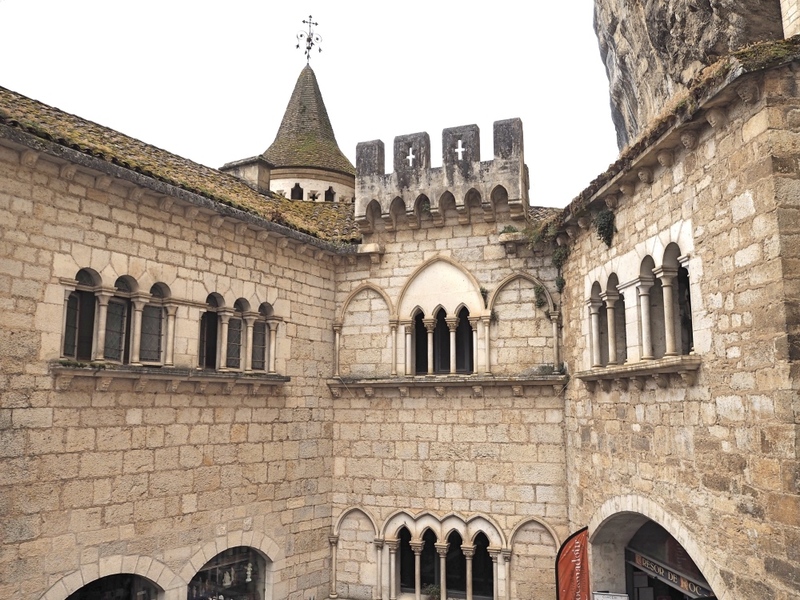 What is so special about Rocamadour? 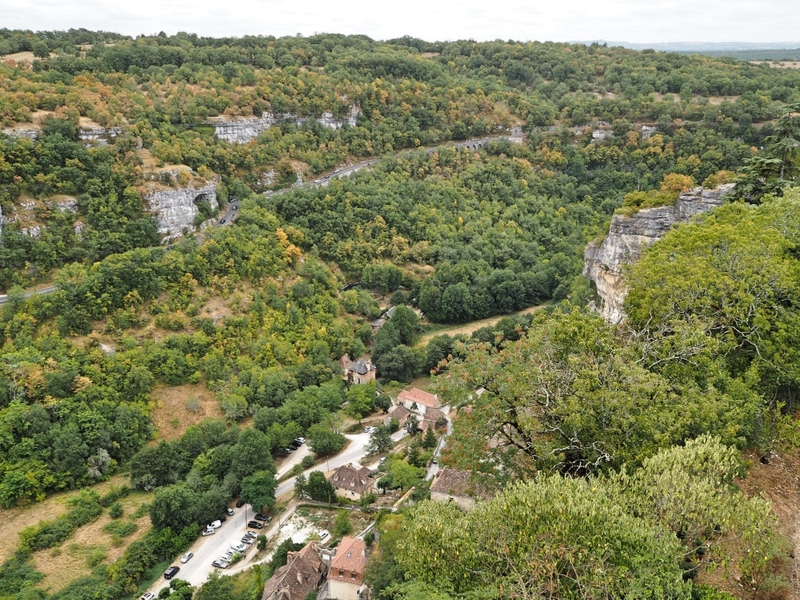 Rocamadour is built half-way up a sheer limestone cliff in the deep canyon of the Alzou river. 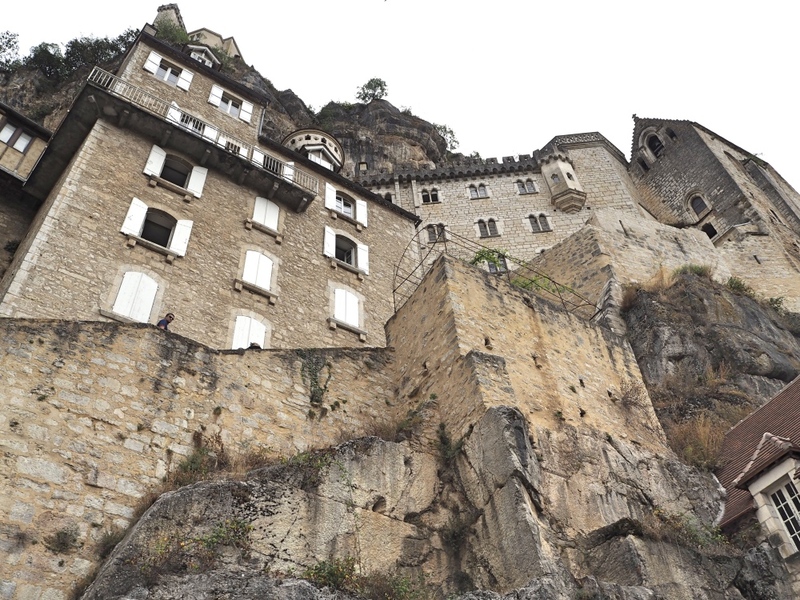 In fact, some of Rocamadour’s buildings and churches are partially formed from the cliff itself, making them quite spectacular to look at. The village has been a famous pilgrimage site ever since a perfectly preserved body was discovered there in 1166. This was believed to be the body of Saint Amadour, who was said to have met with Jesus Christ. 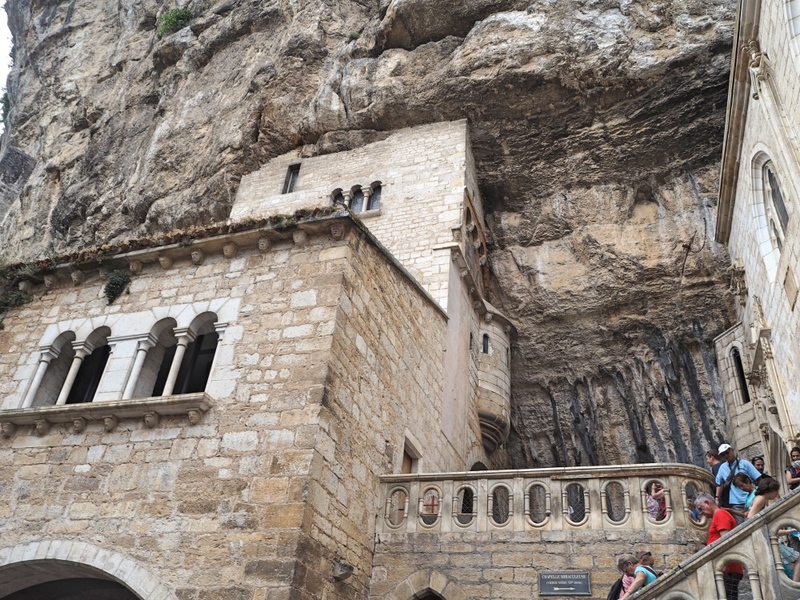 Ever since this discovery, Rocamadour has attracted pilgrims from all around the world. The Grand Escalier leading to the Cite Religieuse from the main street. 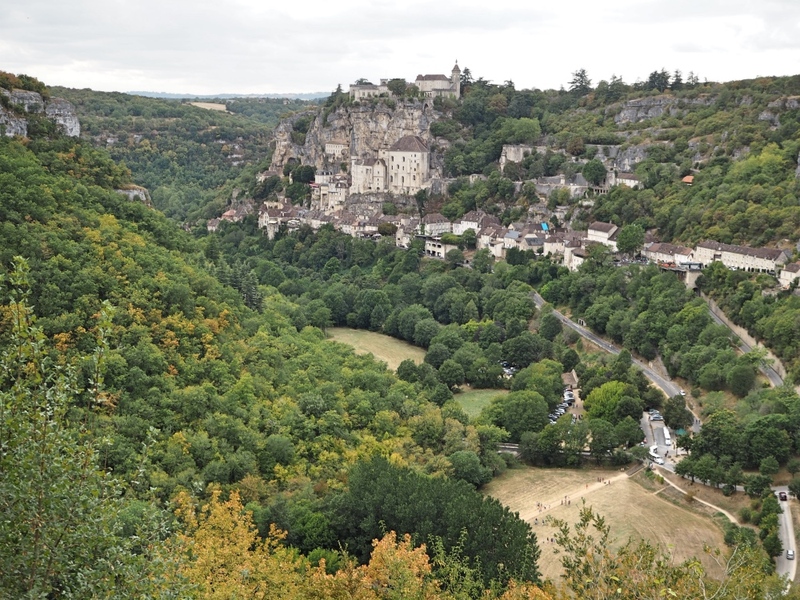 Rocamadour is located in the Lot department in Southwest France, one hundred and forty-five kilometres south of Limoges. The best way to get there is by car since you can explore the surrounding area afterwards. 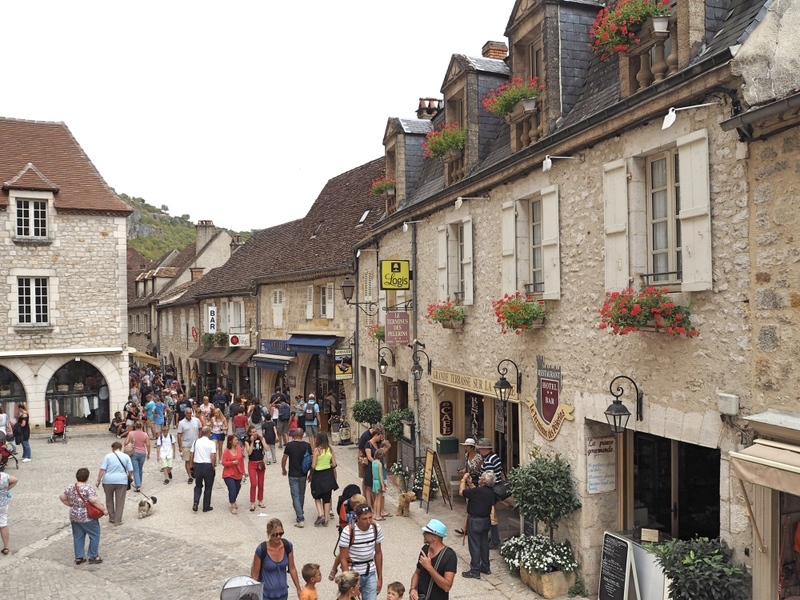 The main square of Rocamadour on a busy day! 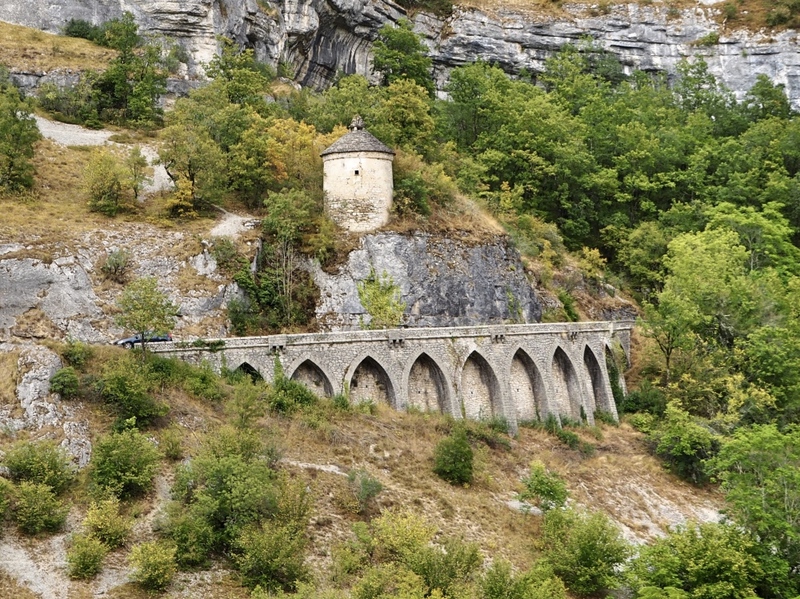 The main attraction of Rocamadour is the “Cité religieuse”. Regardless of whether you are religious, you will be amazed by this sanctuary as you admire the beauty of its eight churches and chapels carved into and extending out of the rocks. It’s amazing to see what people could build back then with so little! A view from the Grand Escalier. To reach the sanctuary you climb a set of steps called the “Grand Escalier”. If climbing the two hundred and sixteen steps to the sanctuary is too hard you can always take the lift or “Ascenceur” for 2.60 euros one way. But we definitely recommend walking up if you can. You’ll get panoramic views of the town, the river and the surrounding mountains which actually makes the walk quite pleasant. The view of the main square and surroundings from the Grand Escalier. The view from the Grand Escalier. The two main buildings of the sanctuary are the Chapelle Notre-Dame and the Basilique Saint-Sauveur. The Chapelle Notre-Dame (also called Chapelle Miraculeuse) holds the mysterious Black Virgin or Notre-Dame de Rocamadour. This precious black Virgin Mary statue is thought to have been carved by Saint Amador himself. The UNESCO-listed Basilique Saint-Sauveur is partially built into the cliffs and displays both Romanesque and Gothic styles. It has some beautiful stained glass windows. The entrance to the Cite Religieuse. 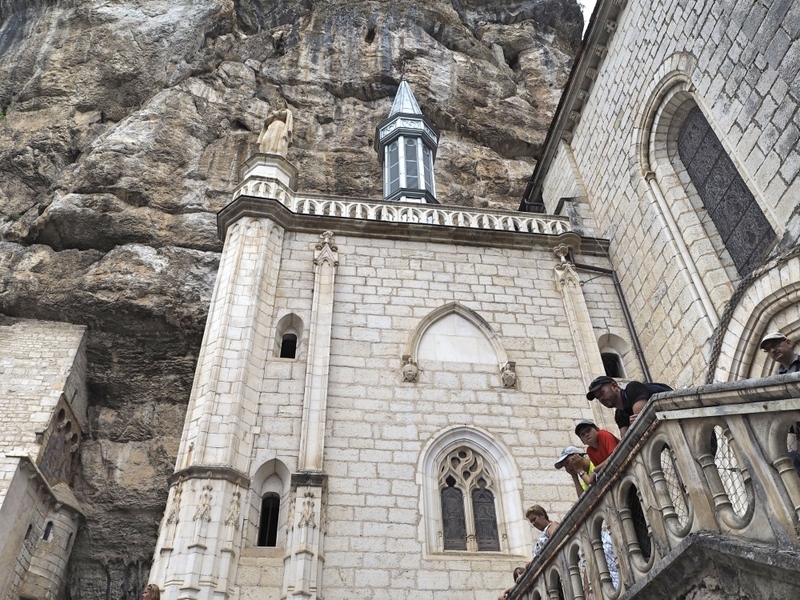 The chapel built into the cliffs. For a further challenge tackle the steep but short walk up to the castle, the highest point of the village. 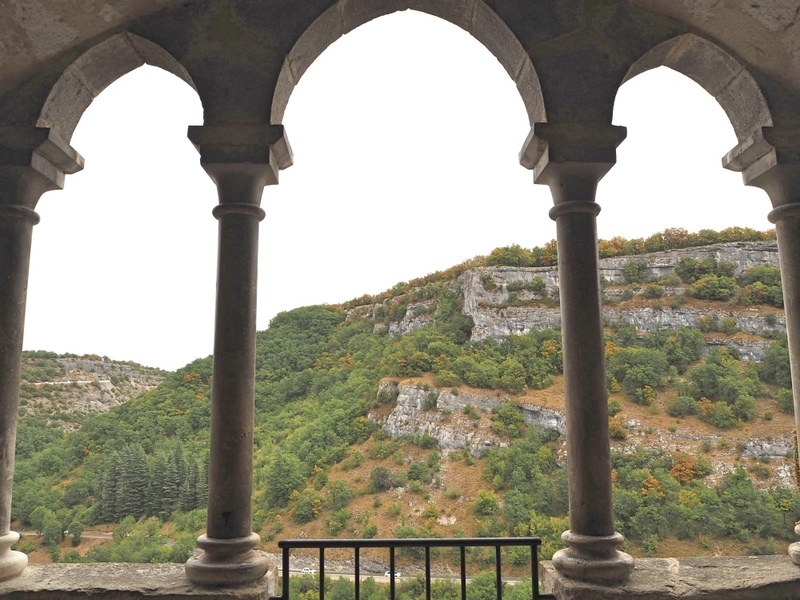 This walk is called “Chemin de Croix” because along it you will find fourteen stations of the Cross and chapels set inside natural caves. They tell the story of Christ from his condemnation up until his death on the cross. 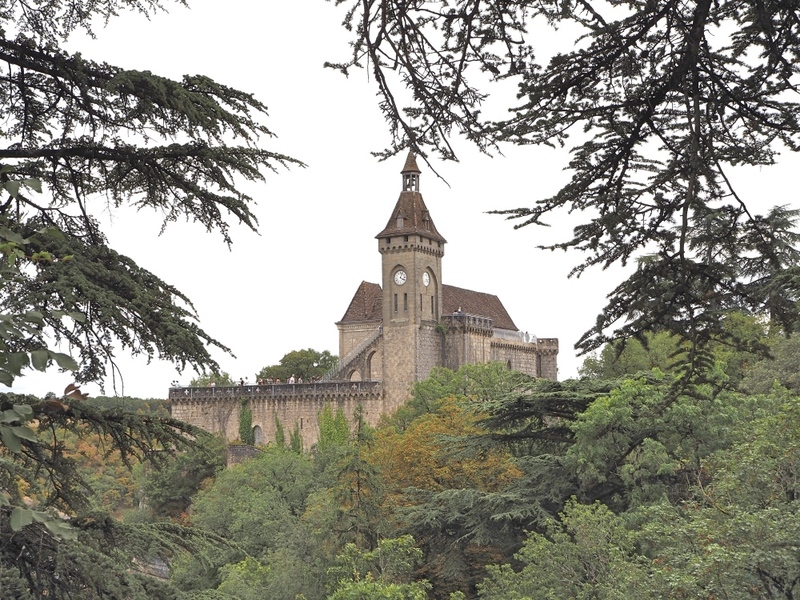 The castle as seen from the Chemin de Croix. 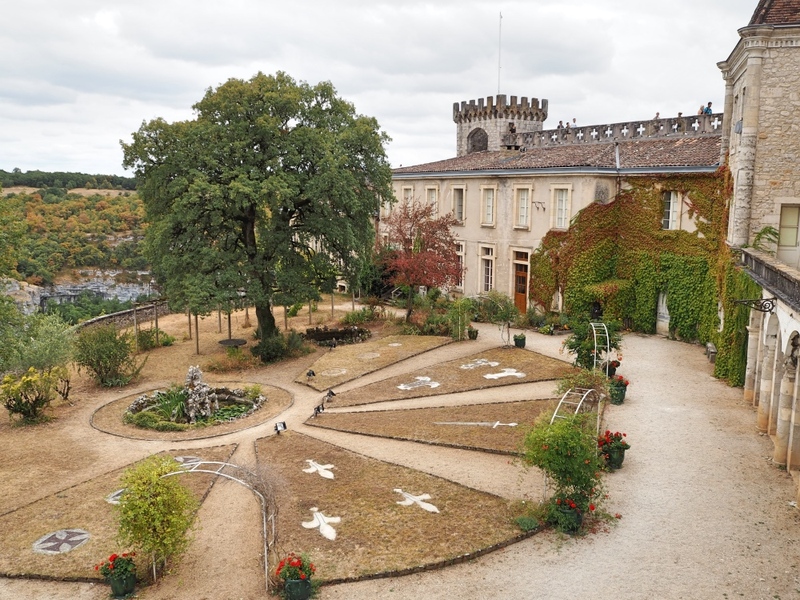 The castle is a private residence but for two euros you can walk along its ramparts and take in a stunning panorama of the village and the valley below. You’ll spot plenty of eagles flying over from the nearby Ecopark “Rocher Des Aigles”, a park specialising in birds of prey. Looking down from the castle’s ramparts. The small gardens of the castle. 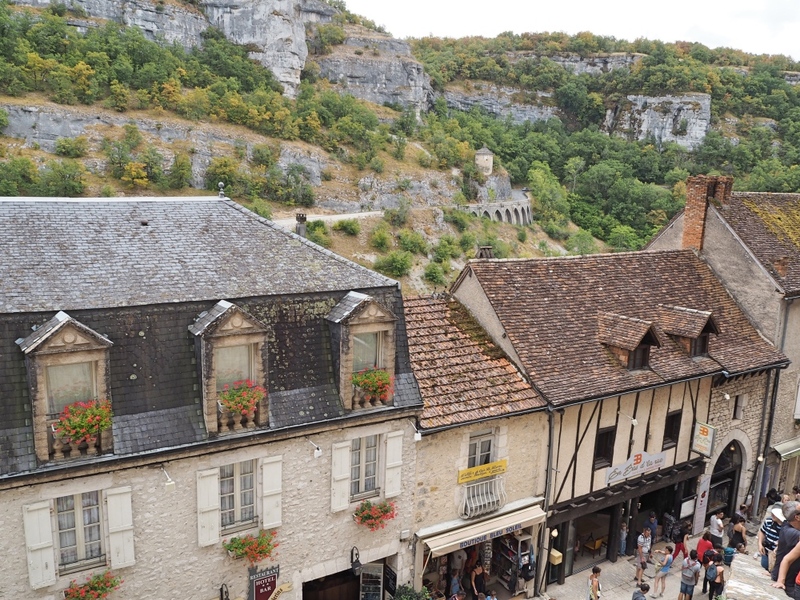 Rocamadour’s one and only street, “la Rue de la Couronnerie”, is very lively with many cute boutiques, restaurants and the obligatory tacky souvenir shops. The buildings on the street appear to grow out of the limestone rock. It’s a great place to wander along after tackling the town’s attractions. The Salmon gate on the main street, crowded as you can see! 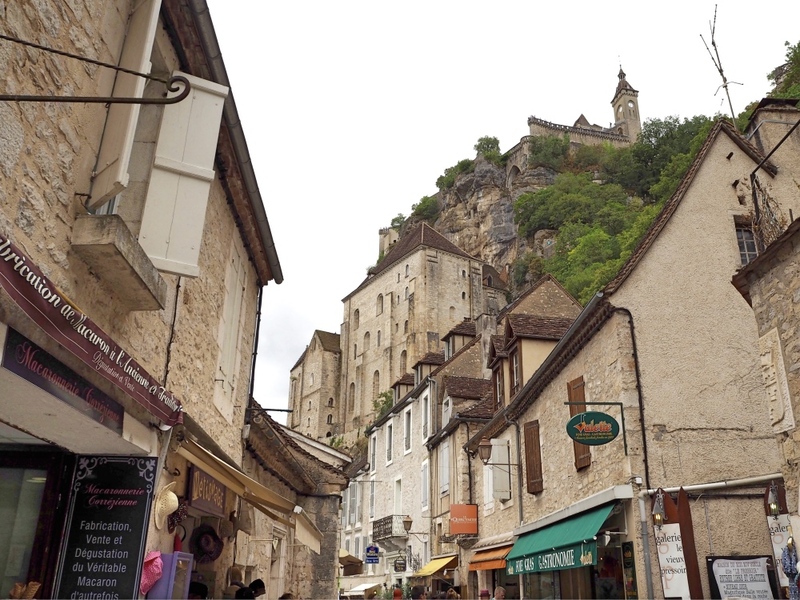 Rue de la Couronnerie, Rocamadour’s main street. 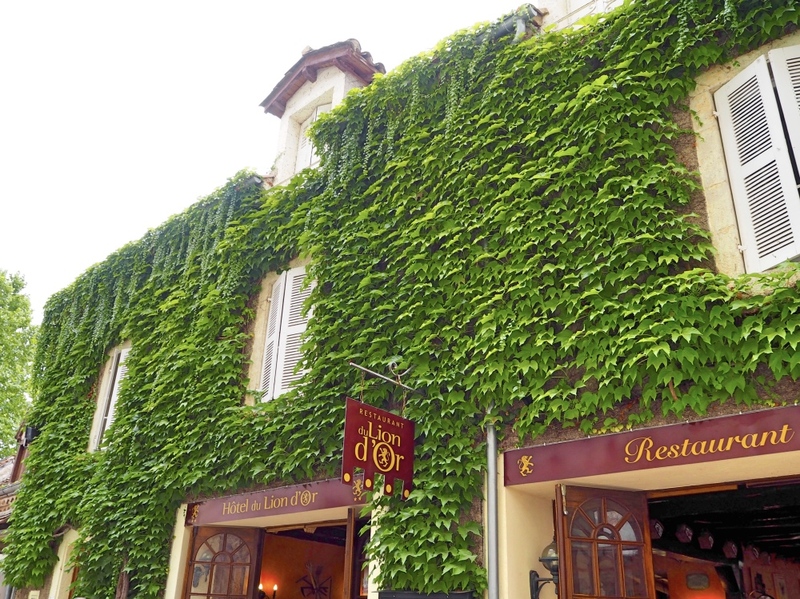 A restaurant covered in Ivy on the main street. 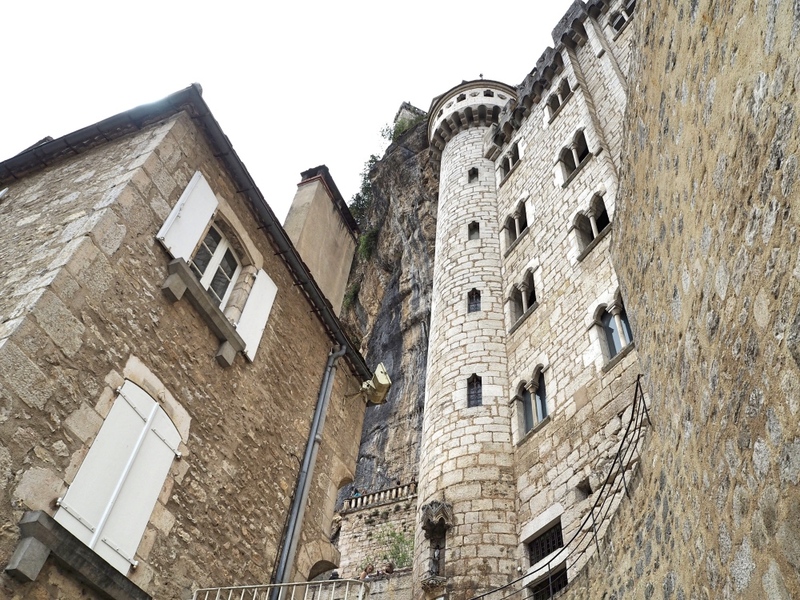 Rocamadour is almost more attractive from a distance than from up close! If you have a car, drive to the nearby L’Hospitalet for a stunning view of the village perched in the hills! Looking towards Rocamadour from the Hospitalet. 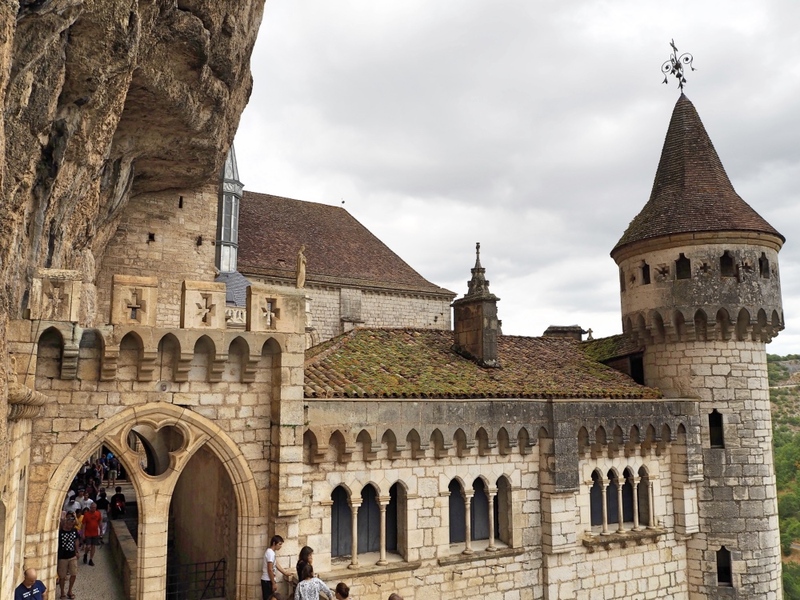 If you can ignore the tourists, Rocamadour is a fantastic place to visit and a testimony to man’s craftsmanship and ingenuity. You can’t help but be amazed by this place and its history. We didn’t stay for long but we’ll go back one day to explore the town and its surrounding area further. But next time we’ll avoid the peak season! 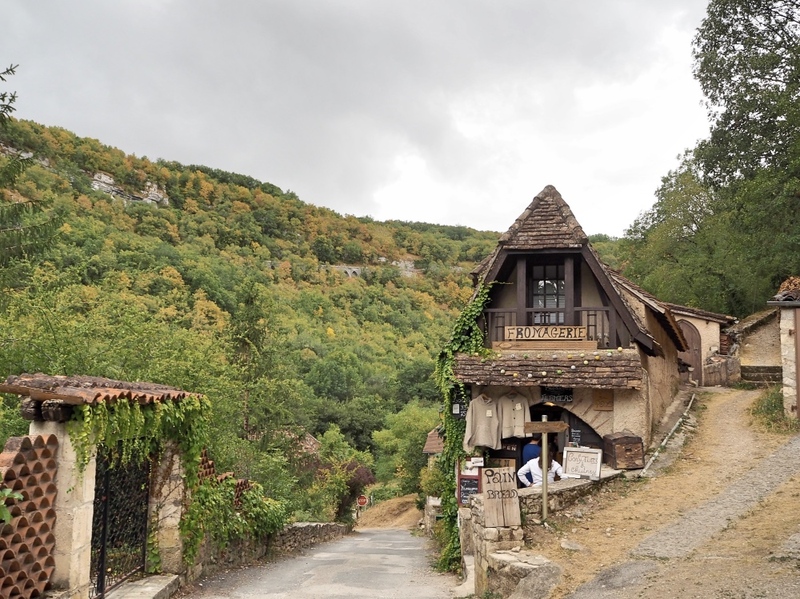 A cute little house on the outskirts of Rocamadour. 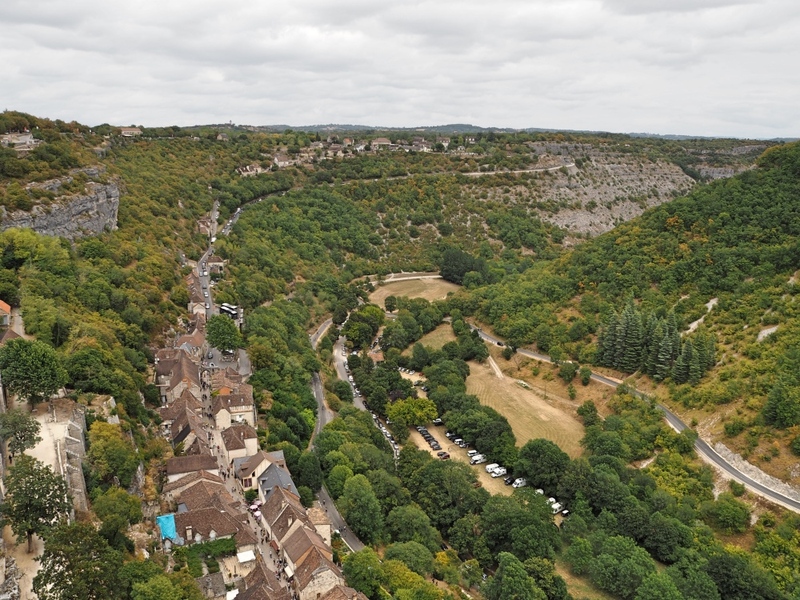 My husband and I have recently moved to a tiny town in the middle of nowhere in France, however, it is just over an hour’s drive from Rocamadour! It’s on our to-do list, but even if it hadn’t been, I would have added it after seeing your beautiful photos 🙂 Thanks for the informative article! Glad you enjoyed the article and photos. Hope you enjoy your time in France. There are so many beautiful places around that area too so you won’t be bored!